Curries are one of my favorite dishes to make in the slow cooker because the flavor improves the longer it cooks, but the bonus is that I get to enjoy the aroma for most of the day. This chicken korma with tomatoes and sweet potato makes the house smell so good. 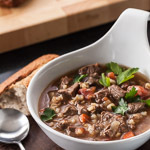 It’s a family favorite that I pulled from the Cooking Light online feature 105 Slow-Cooker Favorites, which is full of meat and meatless dishes. I make a double batch, which gives us plenty of leftovers for lunches or a hasty meal on one of our crazy busy weeknights. I love that it only takes about 15 minutes to put it all together, and then the slow cooker does the rest of the work. 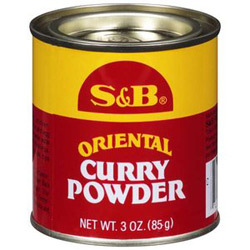 The korma is flavored with curry powder—I recommend S&B brand—ginger, cumin, coriander, red pepper, cinnamon, and garlic. The flavors are full, but it’s not too hot for the kids. Michael adds some hot sauce to his bowl, and the boys enjoy it as is with some extra yogurt stirred in their bowls. 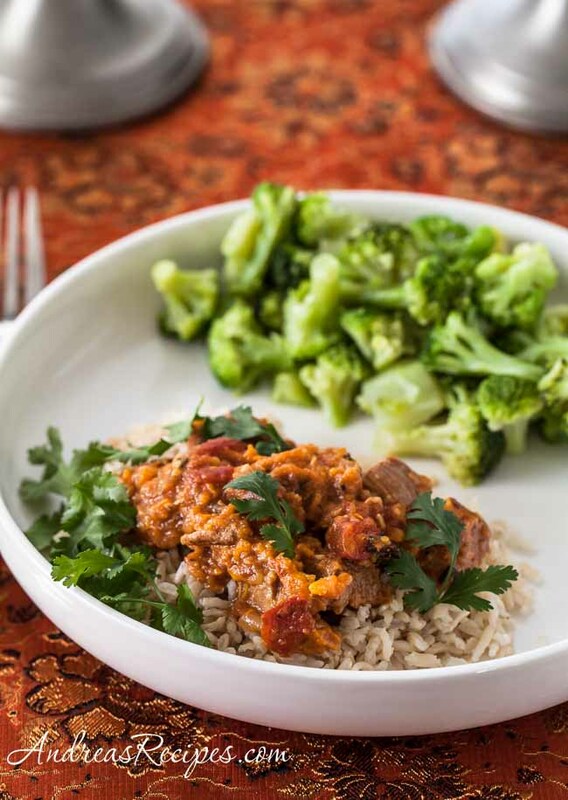 Make brown basmati rice and steamed broccoli to go with it, and you have a meal. Heat the nonstick skillet over medium-high heat. Add the chicken and sauté until lightly browned, about 8 minutes. Transfer the chicken from the pan to the slow cooker, reserving any drippings. Add the onion to pan and sauté until just soft, about 3 minutes. Add the ginger, curry powder, coriander, cumin, red pepper, and garlic. Sauté for 2 minutes. Pour the onion mixture over the chicken in the slow cooker. Stir in the sweet potato, kosher salt, tomatoes, bay leaves, and cinnamon stick. Cover and cook on low for 6 hours. Discard the bay leaves and cinnamon stick. Turn the slow cooker off and let stand for 15 minutes. Stir in the yogurt. Serve over rice with cilantro garnish. The original recipe calls for baking potatoes, but I use sweet potato instead. 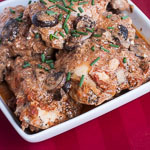 The chicken is sautéed without oil in a dry nonstick pan, which cuts down on the fat. If you don’t have a nonstick pan, try using a very small amount of sunflower oil, just enough to glaze the pan. Hey, This post is looking so good and Amazing! A very well made post with beautiful pictures. 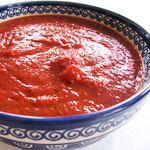 I’ve bookmarked this special recipe of yours and would love to give it a shot soon. Thanks for sharing your well prepared and presented posts. Shall look forward to your next post. 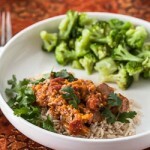 Thanks for linking to one of my slow cooker curry recipes. Can’t wait to try this chicken korma! Those plates are exactly what I am looking for! Something to hold all the yummy on the plate? Do you remember where they are from? Thanks! Can’t wait to try this recipe!